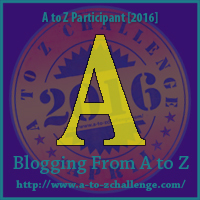 Today is the beginning of the annual A to Z Blogging Challenge. This is my third year to participate, and I’m excited to share the somewhat lost language of flowers. People in the Victorian Era used flowers to communicate many things. They created bouquets (from the very simple to elegant) to say they loved someone or didn’t, to celebrate weddings and babies, to mourn loss, and to express friendship. Today, most people don’t think about what flowers mean in their bouquets. A gorgeous bunch of flowers is beautiful. However, if you lived in the Victorian age, you would see the meanings of that arrangement, not just the beauty. In my previous post, I mentioned my friend M.Q. who has just launched her own website, called Manners, Dammit! She thinks that the world could use more manners and hopes to help people solve issues about common courtesy or the lack thereof. She’s hilarious and sassy, and I hope you go check out her new site. The story of Aphrodite and Adonis was a tragic one. After he was killed, she sprinkled nectar where his blood seeped into the ground. Red anemones sprouted wherever the nectar fell. Use your imagination about different reasons you might include a red anemone in a bouquet. If you lived during the Victorian Era, it wouldn’t have been a positive note. These tiny carpet flowers mean worth beyond beauty. Use them to tell someone how much you treasure him or her. 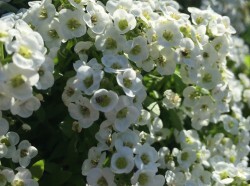 Express patience with this lovely flower. You can use asters to express that you are being patient or that you noticed someone else is being patient about any number of things. Perhaps you’d like to tell someone to be patient and wait for you. Lots of room here!